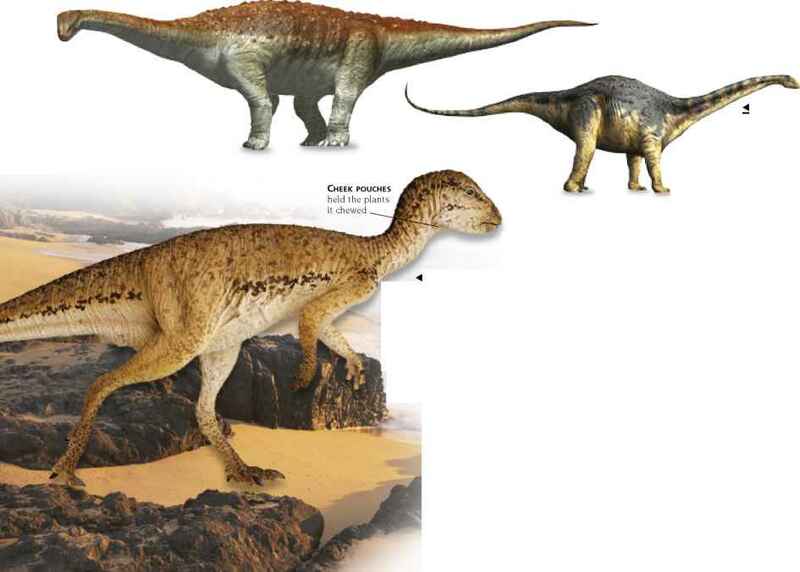 Spain has produced evidence for about 15 Jurassic and Cretaceous dinosaur species, from lightweight runners such as Hypsilophodon and Pelecanimimus to the heavyweight plodders that were the last of the sauropods. It is the members of this group that mark Spain out for special attention. Although the bones of these giants are rare, their eggs are not. At Bastus in northeast Spain, thousands of sauropod eggs have been found in nests. They were laid about 70 million years ago, on a sandy beach. 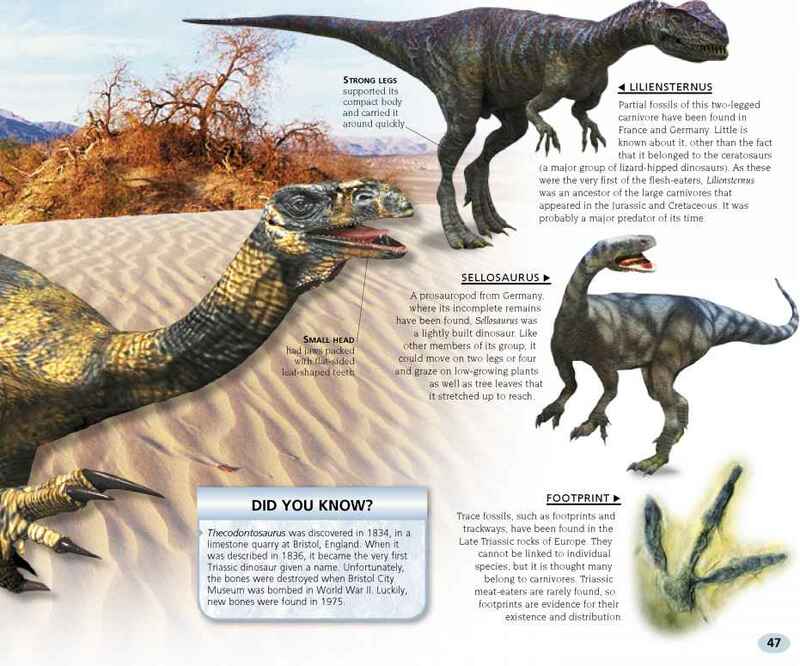 No dinosaur fossils have been found at the site, but it is believed that the eggs belong to Titanosaurus or Hypselosaurus. Titanosaurus was one of the last of the sauropods. It lived in the Late Cretaceous, and there is evidence for a colony in what is today northeast Spain, where a partial skeleton has been found. The skin on its back was covered in hard nodules, perhaps to protect it from predators. Spain's major fossil sites are located in the north and east of the country. Las Hoyas is famous for its fossils of well-preserved Late Cretaceous plants and birds, and the Las Zabacheras Beds have produced evidence for dinosaurs. Discovered near an ancient lake in the province of Cuenca, Pelecanimimus was a meat-eater with more than 200 tiny teeth. 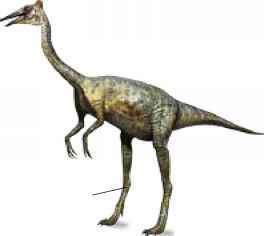 It was an ornithomimid or "bird mimic" dinosaur. Incomplete Hypselosaurus skeletons have been found in the Spanish provinces of Soria and Lleida. Nearby, at Aix-en-Provence, France, 8 in- (20 cm-) long eggs are thought to belong to this plant-eating titanosaur. Like the rest of its group, it lived toward the end of the Cretaceous. Specimens of Hypsilophodon have been found in the province of Teruel. A plant-eating ornithopod—a two-legged dinosaur that walked on its toes, like a bird—it was designed for speed, and may have reached bursts of up to 23 mph (37 kph). 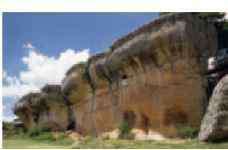 The province of Cuenca is noted today for its rugged outcrops of Cretaceous limestone, which have been eroded by years of wind and water action. Within these rocks are dinosaur and other fossils. Dinosaurs laid eggs. At Bastus there is a nest site with an estimated 300,000 melon-sized sauropods eggs.